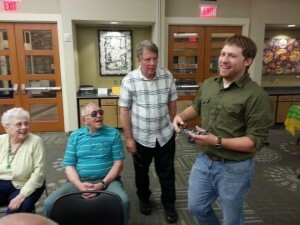 Photos from some of our meetings! Andy Adams speaking about Herp Citizen Science, MARA, and Sea Turtles at the August 2013 meeting. 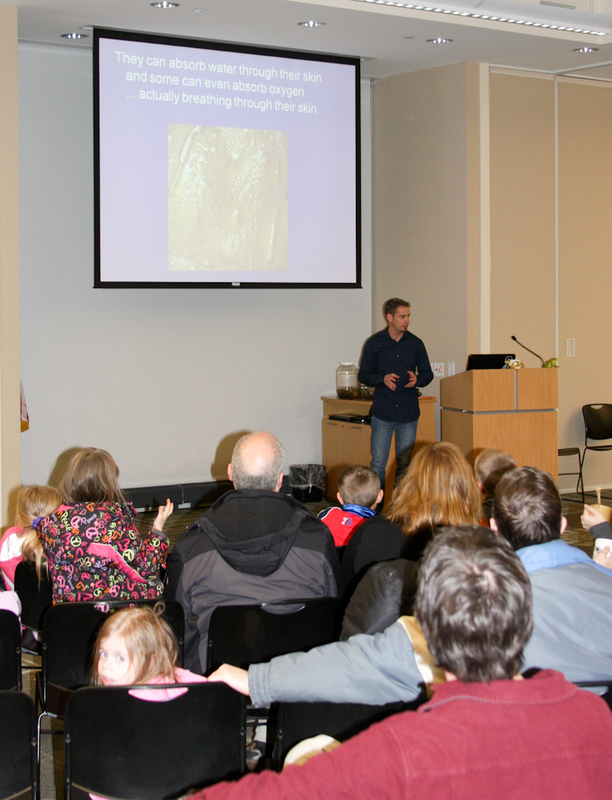 June 2013 Our first ever Kids Night! 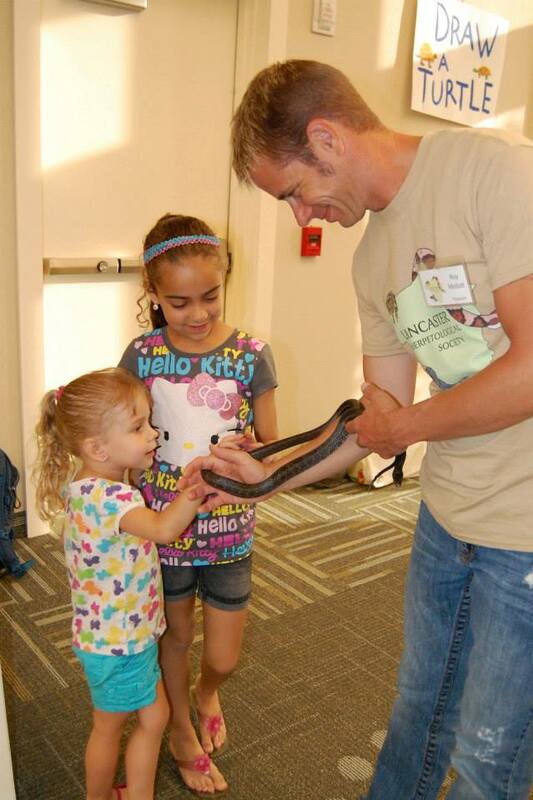 Member, Roy, introducing kids to a native black rat snake. 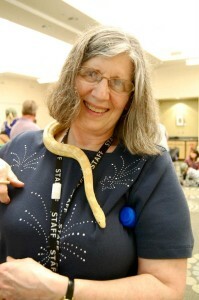 Our library liaison, Mary Anne, meeting our corn snake during the April 2013 Critter Encounter meeting. Roy giving presentation “Frogs and Toads of Lancaster County” at March 2013 meeting. 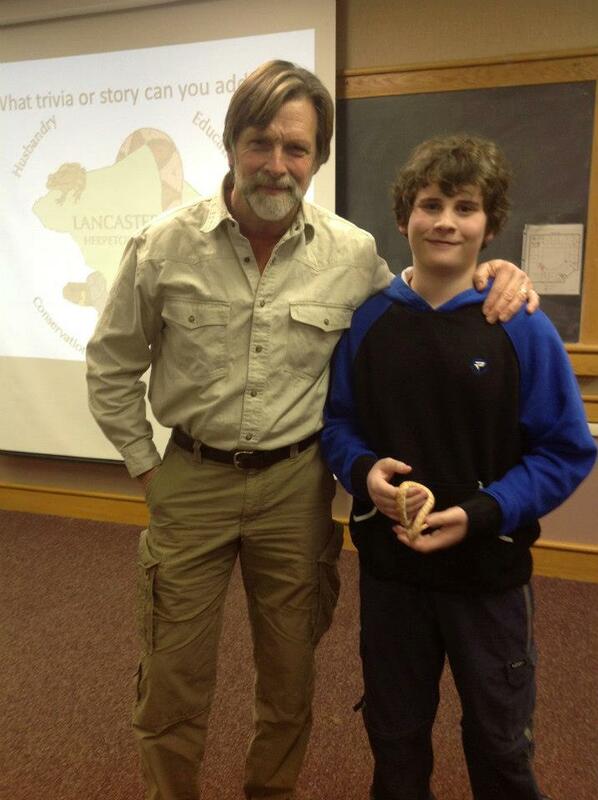 Jack Hubley and Alex with cornsnake at December 2012 “Memory Lane” meeting. 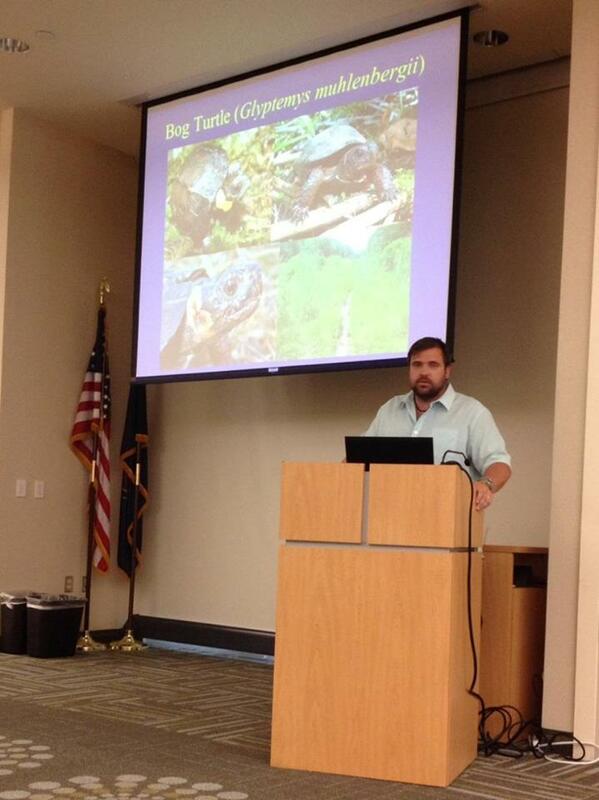 Brandon Ruhe from PA Amphibian and Reptile Atlas.